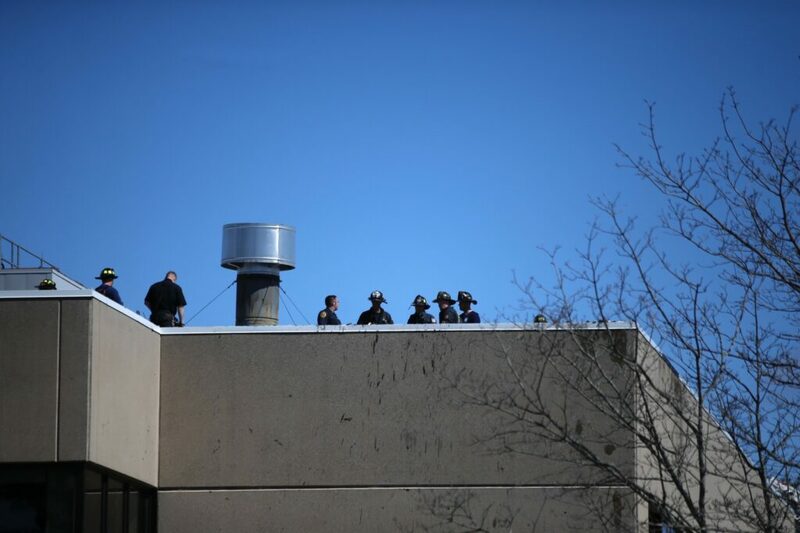 A fire started on the roof of the insurance company's office Saturday morning. 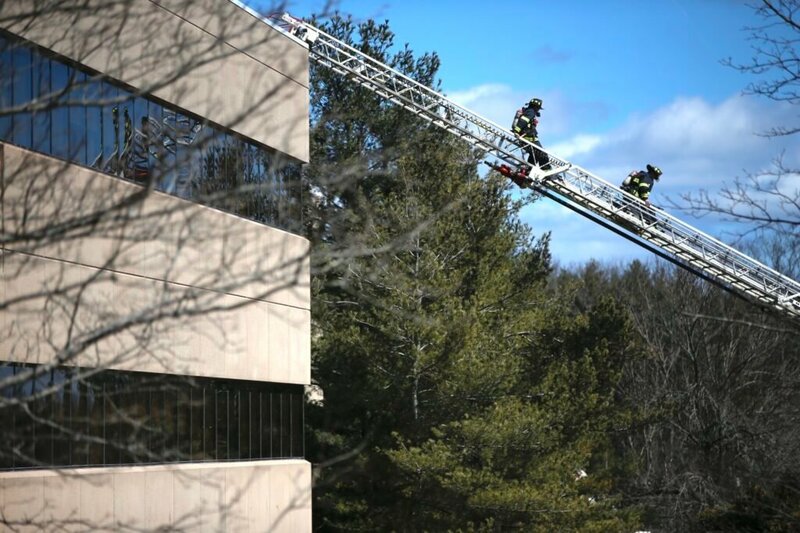 A fire damaged two floors of an office building at the Portland campus of Unum, a national insurance company, on Saturday. The fire was reported on the roof of the building at 2211 Congress St. around 11 a.m., according to Portland Fire Chief Keith Gautreau. Fire and smoke were visible when firefighters arrived, Gautreau said. It took about an hour to extinguish the blaze, he said. There were three employees in the building at the time of the fire, but no injuries, Gautreau said. Two floors were damaged. Fire investigators were on the scene Saturday afternoon. The cause of the fire is yet to be determined, according to Gautreau.